A hermetic compressor motor relay for the automatic switching devices for switching off the engine after the start winding motor climbed run speed (see Fig. 7-29). 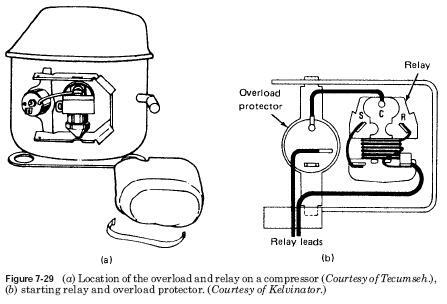 Two types of motor relays are used in refrigeration industry and Air conditioning compressors of the current and potential type.